Fancy a party? Come over to Lyon. There is always something happening and you can easily check it out through the sites that give you suggestions for the weekend and also during the week. I usually keep an eye on: GirlsTakeLyon as they give you more girly & food & art & spa related ideas. Then there is LyonCrunch which brings you ideas for enjoying Lyon on the budget. Each Friday they publish their weekend ideas but they also make week suggestions for the events you can take part in. And I also like very much monweekend.com as they show the really Lyonnais and cultural events you can take part during the weekend. On top of that you can always have a look at my suggestions of Top 25 Things You Can Do In Lyon for Free. So yes…you are not going to be bored in Lyon but you might struggle with choosing what to do…so make sure you dedicate enough time to Lyon. But on top of that Lyon host some big events, many of them actually. So I decided to share them with you. 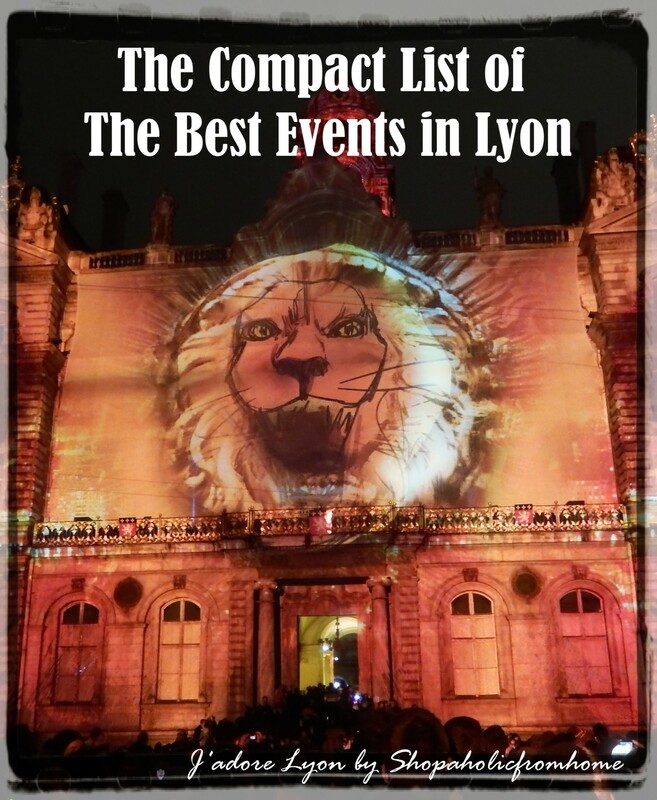 So here you are The Compact List of Best Events in Lyon…I found 26! Can you beat me? Les Nuits Sonores – one of the biggest European music festivals taking place in Lyon in May! It gathers worldwide famous artists, it represents all types and styles of electronic music. So if you are a fan, you will be happy to know that it is 120 hours of music non-stop! Get ready! La Nuit des Musées – cool event which let you explore Lyonnais museums different way cause during the night! And this is not all, it is Gratuit! Can you ask for more? Sign up asap and secure you place! Les Invités de Villeurbanne – are you ready for more music? Because I will propose you 3 days of shows, concerts, spectacles and all for free! There are not only musicians but also actors and other artists who get together to entertain the fans who come to see them and enjoy the artistic atmosphere! Fête de la Musique – and music encore…well I mean and there is even more music in June! But we cannot miss this one as it is an event happening each year since 1982! This type of festival has an interesting form actually as it fills up the streets of Lyon with famous artists, professional musicians, dancers and the amateurs. There is music all the types to be heard and all for free! So arrive to central Lyon on 21 June and you will be sure to enjoy a walk, listen to the free music: pop, rock, rap, classical one, get a drink of a wine or beer sold in the streets and hopefully the weather will not disappoint you and it will be nice and warm evening & night to enjoy! I know it sounds nice, I have been and liked it a lot! Tout L’Monde Dehors – will I sound boring if I come to you with another music festival? Well, do not complain! It is free, it is in Lyon, it is successful each year and it consists of free music, dance and theatre shows and if you imagine it is summer, what is the best place to enjoy the music? Of course outdoors, so here you are – the festival is open to all and in the open air! Les Escales Cinéfil – If you like or if you want to learn more about the French movies – short, long; animation, fiction productions as well as/or watch the documentaries and listen to the concerts in the open air? Well, then I have a Festival for you! All the best of French and it is not only French from France but French from all over the worldwide! Discover more of French….in Lyon! Vogue des Marrons – starting in September and being carry on for one month and a half, this is a time when Lyon offers you hot chestnuts! So come over for a typical French snack and I will assure you, you will not be disappointed as on top of that the chestnuts there will be the white wine which you can taste as well. And Lyon does not forget about the little ones and during that time, it offers the candy floss and fairground rides in many places for kids. The best ones to check is the boulevard de la Croix-Rousse, place des Tapis and place de la Croix-Rousse. The “Sens Interdits” International – each year since 2009, the artists from all over the word, and the artists of all horizons, styles and themes come over to Lyon to take part in the Theatre Festival. Will you be a one of them to share your art or admire the art of others? Impressed? 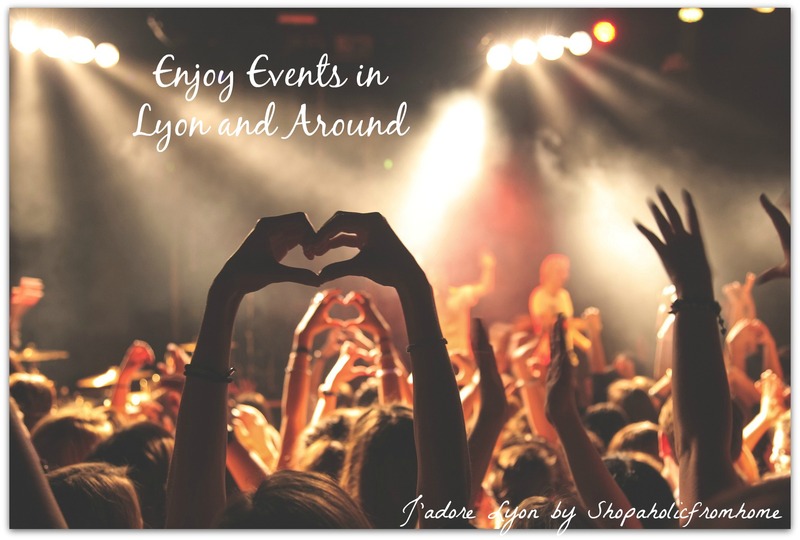 Well I can imagine I didn’t got all of the events but main ones…So I hope you get some (many) ideas on the things you can do in Lyon. What interested you the most? Is it The Festival of Lights, the music spectacles in the ancient theatre on the Fourviere Hill or maybe cinema, or crime book, food or BD? Whatever your likes are and preferences, you will find them here in Lyon. Just make sure you will have time to do all you want!